Thinking of taking that dream vacation to Costa Rica for the chance to experience its wildlife, beaches and laid-back atmosphere? Keeping reading and learn how to get the most out of a trip to one of the most visited parts of Central America. From budget-conscious travellers staying in hostels to those looking to splurge on the more luxurious costa rica beach house rentals, here’s how to have an unforgettable trip. First and foremost, Costa Rica isn’t cheap. It has a reputation as Central America’s most expensive destination. Compared to its neighbours, you might be looking at spending two or three times more. The cost of eating out and enjoying an evening drink as well as taking tours and accommodation will be higher. Always double check what kind of prices you’ll encounter when you arrive in Costa Rica and have an idea of how much you’re willing to spend. While you shouldn’t scrimp and save too much, it’s always a wise idea to have a budget. Like most destinations around the world, prices are higher during the peak season. 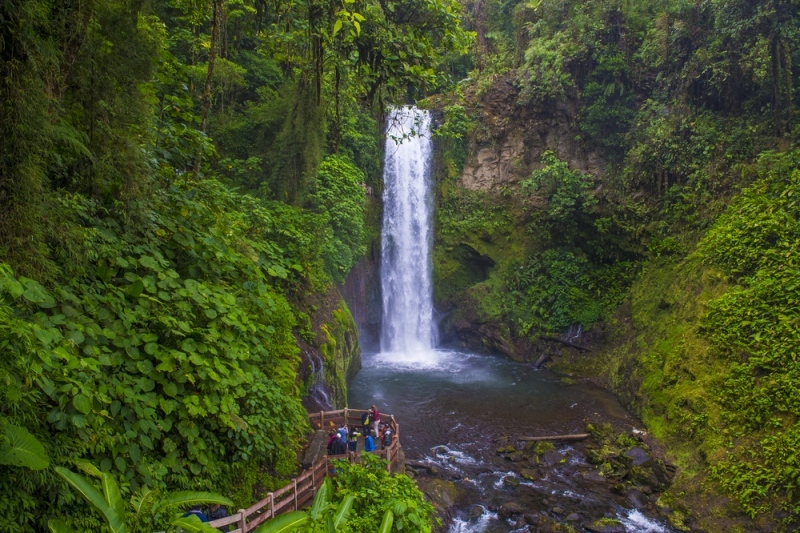 In Costa Rica, the dry months get more tourists compared to its rainy season. Sometimes the cost of accommodation can drop almost 50% during the wetter parts of the year. Costa Rica’s rainy seasons usually start in early May lasting until around Christmas. If you’re looking to get better value for money, visit towards the end of the year. While the weather might not be as good, it doesn’t stop you from enjoying your holiday. Instead, you’ll have twice the comfort and luxury for the same price. Unlike some of the other Central America countries, the tap water in Costa Rica is perfectly safe to drink. Rather than worrying about finding a shop or supermarket to stock up, refill your water bottle from the tap. Apart from saving a few dollars and being more convenient, drinking the tap water is more sustainable for the environment. As you travel around the country and marvel at the natural beauty and wildlife, spare a thought to all the plastic bottles overflowing the litter bins. But if you get off the beaten path and find yourself in a more rural setting, it pays to double check with the locals. Just in case. If you want more flexibility in your trip to Costa Rica, rent a car. But just be aware that the price you see advertised might not be the amount you end up paying. Hidden fees and mandatory insurance can cause the price to almost double. This little trick is quite common throughout Costa Rica, and the unexpected costs can increase the total price significantly. Always ask the rental company for the final price including all add-on fees before committing. With a booming tourist industry, every man and his dog seem to be offering various day trips and excursions. But as you would expect, the quality and authenticity of the guides vary. If you do want to take a tour, make sure you find a reputable company and double check exactly what you’re getting for the price. As an alternative, why not get your car and explore the country independently? Not only will this give you more flexibility, but having your own vehicle will cut the costs of joining an organised tour. The term soda in Costa Rica doesn’t refer to the fizzy drink in the same way as people in the United States do. The soda in Costa Rice refers to a specific type of local restaurant which serves more affordable meals and provides a taste of the culture. A plate of rice and beans with various sides and a drink cost a fraction of the price at the restaurant full of tourists next door. And more times than not, the food is tastier! Everyone wants to take a small piece of Costa Rica home with them after spending an incredible few weeks in the country. And souvenirs appear to be easy to come by in most destinations. But just be aware of the authenticity of anything that you buy. If you want to get something expensive like jewellery, always go to a trustworthy shop. Some unscrupulous locals try their best to take complete advantage of tourists. The last thing anyone wants is that bitter feeling of being scammed on holiday. It’s no secret that some parts of Central America are dangerous for tourists. And while Costa Rica has a well-developed tourist infrastructure and promotes itself as being a safe destination, you still need to keep your guards up. Always employ the usual safety precautions as you would in major cities around the world. And don’t take what people on the street tell you for granted. It’s true that violent crime rates are much lower compared to their neighbours, but petty crime and theft are high. When there are millions of ‘wealthy’ tourists, you’ll always find a particular class of dodgy characters looking to take advantage. If you have already planned your dream trip to Costa Rica, it’s time to start counting down the days. This will be everything you expected and more. Just remember to take these tips and suggestions into consideration to make sure it’s memorable for the all the right reasons!